Silo architecture ranks higher in search engines, and pages get indexed faster. 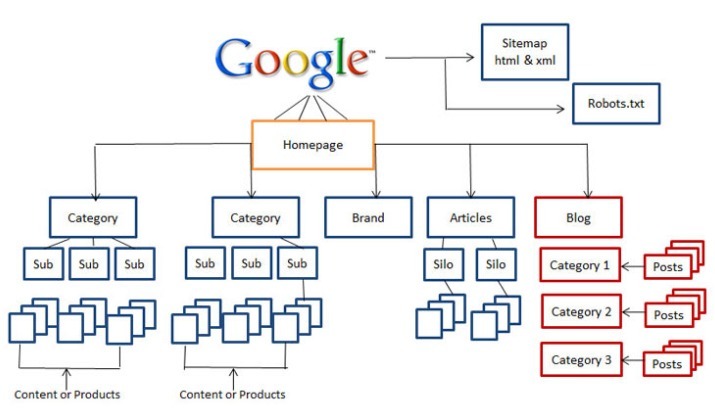 When you learn how to make a website using silo architecture your website pages are naturally talking about themes and keywords that are related to each other, Google and other search engines will know that your site is really on topic and they will reward you with high rankings most of the time. It will also help visitors navigate and find more relative content when you build a website this way. You site will rank higher in search engines using 90% less back-links that’s how powerful silo architecture is. Its like having your website on steroids. More tips on how to improve your silo structured WordPress blog. You now have a solid silo structure we will now show you using more free plugins to rank higher and quicker in the search engine results. Using free WordPress plugins we not only have the related posts at the foot of each page, but on each section we have the links to other posts in the sidebars as well. You are going to need to additional plugins. One makes it happen and the other makes it easy for you to work out what to do. Install the above two plugins. Once installed go to widgets and take the categories post widget and drag it to the main sidebar. You now have the widget logic option and this is what makes the posts appear in your sidebar, watch the video to see how to set this up. You need to copy the different IDs into the widget logic box. What this will do is only show the related posts on the page.